Who you calling baggage? Photo (of Cam, the pug) by Ashley McAdams. Taking your lap dog on a weekend road trip is one thing. But bringing your potbellied pig on a global sabbatical is a whole other. When it’s hard enough to comprehend TSA’s head-scratching rules for what constitutes a “liquid,” how do you make sense of traveling with your dog, cat, cockatoo, or pygmy goat? Once you consider safety, regulations, and paperwork, you might as well call an expert. So we did: Rosemary Filippelli, vice president of company, a family owned and operated business that has provided travel solutions for animals and their owners since the ‘70s. She gave us some quick tips for different travel scenarios. 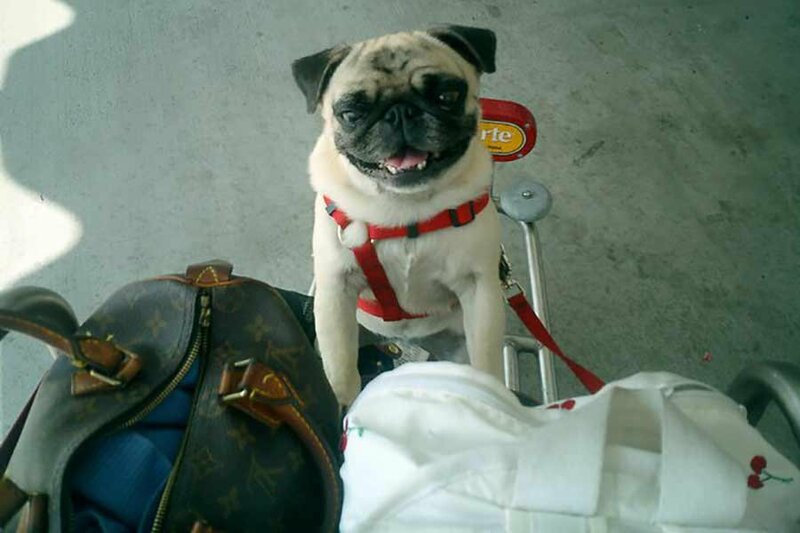 Keep Calm and Carry On: The best way to travel with your four-legged pal? Bring him or her into the cabin with you. For this, you have to let the airline know in advance, as there are a limited number of pets allowed on each flight. There are size and weight restrictions as well, and, of course, these vary from airline to airline. Bottom line: Call ahead before you book your ticket and make sure you’ve got the green light for your favorite ferret. On the day of the flight, Filippelli recommends not ing them 6-8 hours before departure to take poop-scooping at cruising altitude off the table. 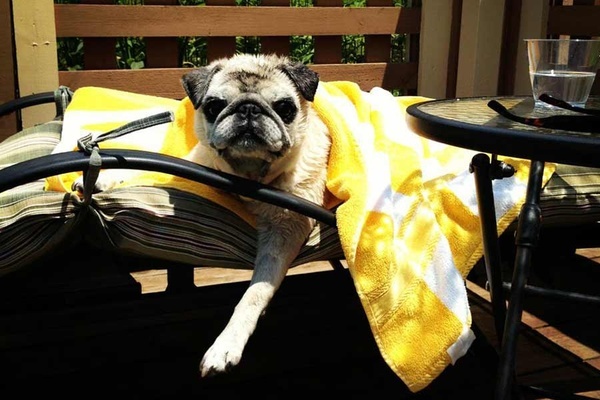 Of course, your wee pug will have to drink water — particularly in summer. For that, be prepared for your pet to go in the bag. Or set up a wee wee pad in the bathroom to see if they’ll relieve themselves there. What Filippelli does not recommend is sedating the pet. “A lot of owners do it, but it could be detrimental to your pet’s health." Check Your Baggage: For pets who need to travel as checked baggage, make sure you request this when booking your flight (it’s a good idea to do this with a live person over the phone). Keep in mind that all US airline carriers have restrictions from May 15 to September 15. Some breeds, like snub-nose pugs and French and English bull dogs, are difficult to ship during summer months when it’s hot and humid. Older pets and exotic animals can also pose tricky scenarios. These restrictions mean you'll have to go through a third party to ship or schlep (perhaps by car) your chubby puppy to your destination. Filippelli points out two problems this presents. The first: Cargo rates are expensive. Second? "Baggage handlers are not trained in caring for live animals! They are trained in baggage.” Filippelli suggests checking out IATA regulations for loading and unloading pets properly. The best kind of travel companion. Photo by Kristen Alexis. Once again, you'll want to call the airline your flying to find out rules and requirements for pets as checked baggage. Most of the airlines will allow this, but regulations vary. Some breeds, like specific bird species, will need permits going overseas. Persian cats too! Meow. When pets are shipped as cargo they have space and a ticket number and trained personel. That means a higher freight charge, but once loaded in aircraft, they go into a live animal section that is climate controlled and pressurized. Dont worry: They are not going with the luggage. But they are on their own and this can be stressful for a pet. Filippelli asks owners to be mindful of their animals and how much trauma they want to put them through. “If it’s a two-week vacation, it’s better and safer to keep them at home." If you can't bear to leave your furry retriever at home, get them acclimated to the travel crate in advance. Once at your destination, make sure you arranged for a big car for your big pet crate. When it comes to cargoed pets, some airports and cities will clear you as a pet owner. But many airports (New York's JFK included) require a customs broker for clearance and delivery. This person will coordinate the quarantine reservation and all documents for entering a new country. It's good to know ahead of time that certain governments (like Singapore, Australia, New Zealand, Brunei) will quarantine your pet no matter what. 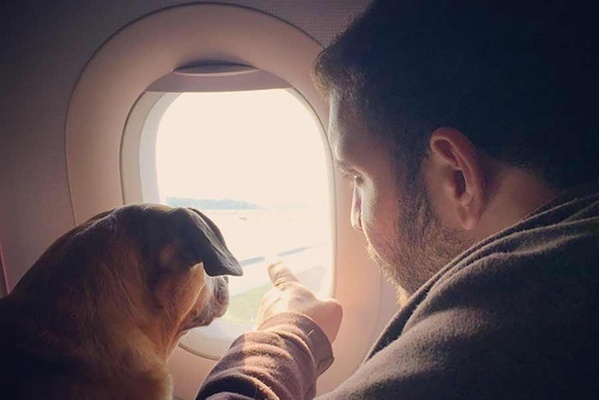 Pet transport services can guide pet owners through documentation and coordinate paperwork with vets, get USDA endorsements (for European travel), greet and assist with check in at the airport, or pick up and drop off without you being involved (or stressed out). 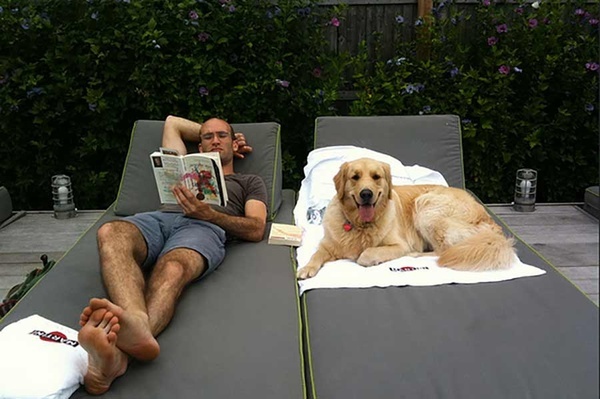 Make it easy on yourself and your pet. Photo by Elana Dweck. Note: Embassy websites can be pretty confusing and outdated. You're better off trying to talk to a human on the phone or calling a professional for guidance on overseas pet travel. You’ll incur a few fees but save yourself a headache. And ensure that your four-legged best friend gets the best treatment he or she deserves. Pug in vacation mode. Photo by Ashley McAdams.